The South African Red Cross Society is a member organisation of the International Federation of the Red Cross and Red Crescent Socities (IFRC), which is the largest volunteer driven organisation on earth. The Red Cross Society has 100 million members and a presence in 189 countries. In August 2007 the South African Government recognized The South African Red Cross Society as an Official Auxiliary to the Government in Humanitarian Aid. 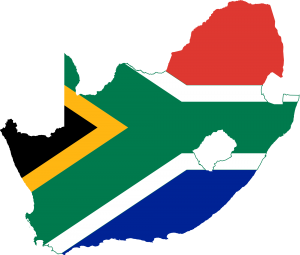 Humanitarian services in South Africa can be traced back to the late 1800’s. The South African Red Cross Society was established in 1921 and admitted into the IFRC in 1929. Today the South African Red Cross Society is a member of the IFRC Governing Board. The International Federation of Red Cross and Red Crescent Societies. 189 member Red Cross and Red Crescent Societies. As partners, the different members of the Movement support communities in becoming stronger and safer through a variety of development projects and humanitarian activities. The Movement also works in cooperation with governments, donors and other aid organizations to assist vulnerable people around the world. On the battlefield of Solferino, Henry Dunant, struck by the insufficiency of Medical Services, the great number of soldiers who died for lack of care and the vast suffering that could have been avoided, conceived the great project of forming “relief Societies for the purpose of having care given to the wounded in war-time by zealous, devoted and thoroughly qualified volunteers”. To overcome the misgivings voiced by various senior military officers, who were concerned about civilians being given access to the battlefield, it was decided that Voluntary Medical personnel would be “placed under military command” (Resolution 6 of the 1863 Geneva International Conference). As they were then acting under military discipline, and were placed on the same footing as the army medical services, it was secondary whether or not they kept their status as civilians; being officially authorised, they were entitled to the same protection as military medical personnel. Although the first Red Cross volunteers worked on or close to the battlefields, they are now also present at the scene of natural disasters and in everyday life; performing a host of medical and social welfare tasks. This was a natural development, stemming from the history of the Movement and its tradition of pioneering in the humanitarian field. The International Committee of the Red Cross was formed in 1863 and is the founding body of the movement. Under the terms of the Geneva Conventions, it undertakes the role of neutral intermediary in times of armed conflict, providing protection and assistance to victims, visiting detainees, providing medical care to the sick and wounded, tracing and reuniting separated families. The International Federation of Red Cross and Red Crescent Societies was founded in 1919 in Paris in the aftermath of World War I. Originally known as the League of Red Cross Societies it was renamed in October 1983 as the League of Red Cross and Red Crescent Societies. In November 1991 it became the International Federation of Red Cross and Red Crescent Societies. The Federation supports humanitarian activities by Red Cross in each country, including providing emergency relief for natural disasters, the development of new social welfare initiatives, caring for refugees and simply caring for the vulnerable in society. On New Year’s Day, 1896, four doctors approached President Paul Kruger for permission to form an ambulance corps. President Kruger not only gave the doctors his personal blessing, but his Volksraad also made a grant of 500 pounds for equipment, considered a most generous contribution in those days. Six months later the Government of the South African Republic signed the Geneva Convention, and the ambulance corps took steps to become an independent Red Cross Society, Het Transvaalsche Roode Kruis. During 1899, a National Society was formed in the Orange Free State Republic, and later that year a British Red Cross Society branch was established in the Cape Colony. From its earliest beginnings in South Africa, the Red Cross made no distinction between frontiers, race or political creed. During the South African War (1899 – 1902) the Society expanded rapidly, receiving aid from the Red Cross in the Netherlands, Germany, Britain, Belgium, Russia and Canada. Their common purpose was to relive the suffering of the wounded, sick combatants, regardless of who they were fighting for and to pass on information regarding persons killed, wounded or captured. With the return of peace in 1902, the Red Cross Movement in South Africa became dormant until it was revived in 1913, when its objectives included spreading knowledge of first aid, home nursing and hygiene, as well as carrying out relief work for the injured, sick and wounded. The South African Red Cross Society itself was founded in 1921 with the amalgamation of the various Red Cross entities which existed in the country. It was recognised by the International Committee of the Red Cross in 1928 and admitted into the International Federation of Red Cross and Red Crescent Societies in 1929. Over the years, the work of the Red Cross in South Africa has changed to reflect the environment in which it is working. The National Society is organized into five regions under the control of elected National Council. Each region has several branch offices and which in turn have several committees with representation from the communities. As a vitally important partner in this country’s health and welfare network, its principle concerns can be summarised in one sentence: to encourage and promote the improvement of health, the prevention of disease and the mitigation of suffering. The South African Red Cross Society is one of the 189 members of the Federation and responds to needs in each province, territory and provides relief during minor and major disasters and emergencies throughout South Africa. The Fundamental Principles are an expression of the Red Cross Red Crescent Movement’s values and practices. They were developed based on the Movement’s experience responding to suffering and needs over the previous century. The Fundamental Principles are at once operational and aspirational. They serve both as a guide for action and as the Movement’s common identity and purpose. The Fundamental Principles guide the work and decisions of the Red Cross Red Crescent Movement for all Red Cross Red Crescent workers in all situations and at all times. Proclaimed in Vienna in 1965, the seven Fundamental Principles bond together the Red Cross and Red Crescent National Societies, the International Committee of the Red Cross and the International Federation of Red Cross and Red Crescent Societies. They guarantee the continuity of the Red Cross Red Crescent Movement and its humanitarian work. In 2015, National Societies, the IFRC and the ICRC will come together to commemorate the 50th anniversary of the adoption of the Fundamental Principles. The commemoration not only to celebrates this remarkable milestone, but also is an opportunity to share experiences and to learn from one another, and to reassert the contemporary relevance and importance of the Fundamental Principles.